In this paper, we propose and analyze a multicast application called SOMA (SynchrOnous Multicast Application) which offers multicast file transfer service in an asymmetric intra-campus environment. For efficient bandwidth utilization, SOMA uses IP multicasting. We also propose a complete multicast transport protocol involving both, the flow and error correction algorithms. The protocol adapts the window size and the overall application transfer bitrate to the minimum network capacity, allowing synchronism and reacting quickly when congestion arises at any network router. 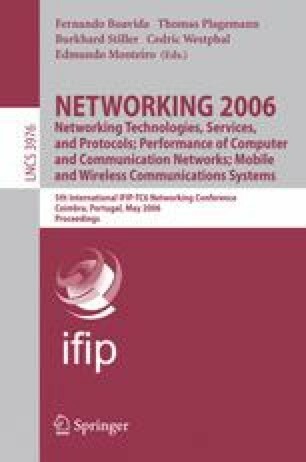 The application behavior has been intensively tested by simulation and experimentally in a lab, using a mixture of wired and wireless intra-campus networks. In addition, we develop a mathematical model to validate analytically some of the most important protocol parameters. The methodology employed to define, analyze and evaluate this multicast protocol is, indeed, another contribution of the work and can be easily extended to other multicast protocols.